Stylish Arrivals are here to offer you their bridal wedding car hire services, providing you with an elegant car to transport the bridal party to the church or to your chosen venue on the day of your wedding. The Bride’s wedding car will play a big part in your wedding day so we want to ensure that everything runs smoothly. You can only imagine what your wedding guests will think when you roll up in a Rolls Royce Phantom. They will be truly amazed. This wedding car can be hired to transport the bride and her father to the church. The bridesmaids can either follow in another car or be taken to the church before the bride. We have wedding car hire packages that includes a double journey service. This gives you the option to have 2 lots of the wedding party picked up and dropped off at your chosen location. 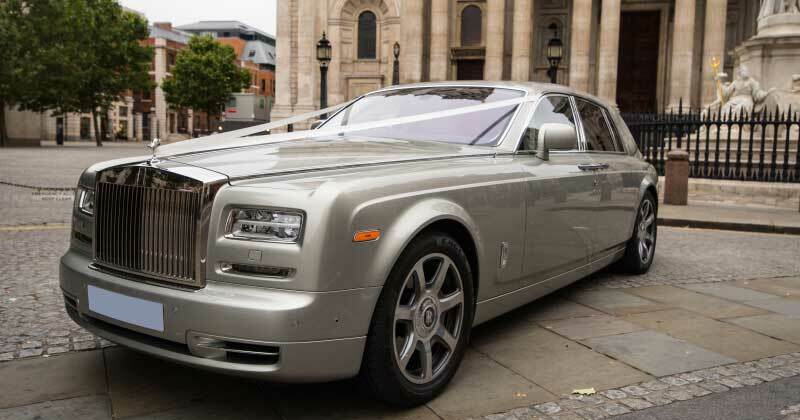 Another option is to have the Rolls Royce Phantom for the wedding party and a super car for the groom. You and the bridal party can have your pictures taken with this magnificent car once the service has finished. The car will enhance your wedding photos and will give your guests something to talk about. The Rolls Royce Phantom really is a stunning car and will be admired by everyone throughout the day. Once the photos are finished, the bride and groom can be driven in style to the reception. Our Rolls Royce Phantom is driven by one of our professional drivers that have been chauffeuring for many years. If you have a particular colour scheme, then coloured ribbons can be placed onto the car if this is required. This looks very effective especially in the wedding photos. To make the journey more delightful, enjoy a chilled complimentary bottle of champagne from us when you choose certain packages. Your desired music can be played throughout the journey. Just bring a CD with you and we will happily play this for you. 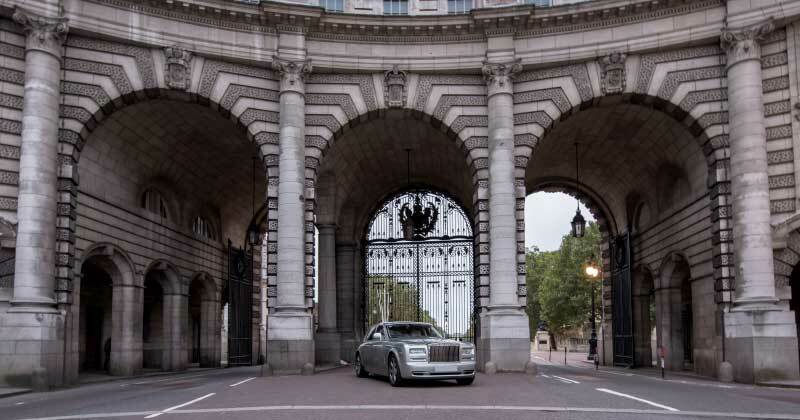 Complete this form and we will send you a quote for our Rolls Royce Hire service. All about our wedding chauffeur service. 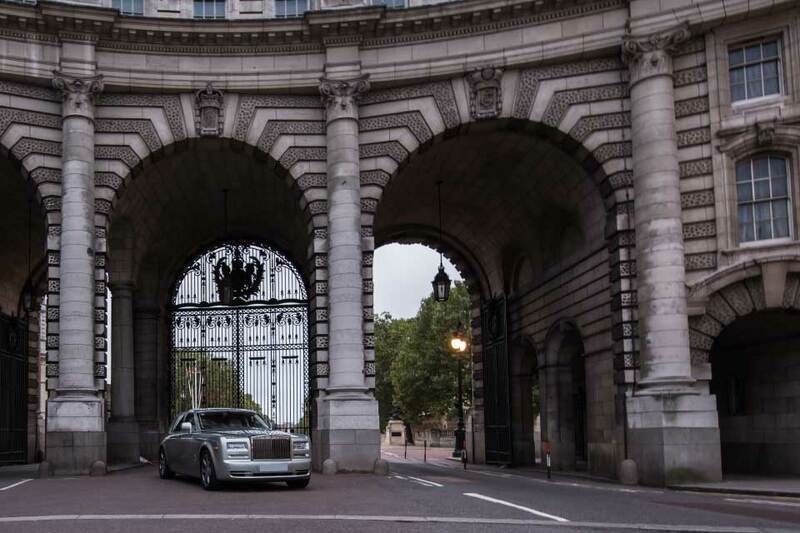 Take a closer look at our Rolls Royce Phantom. 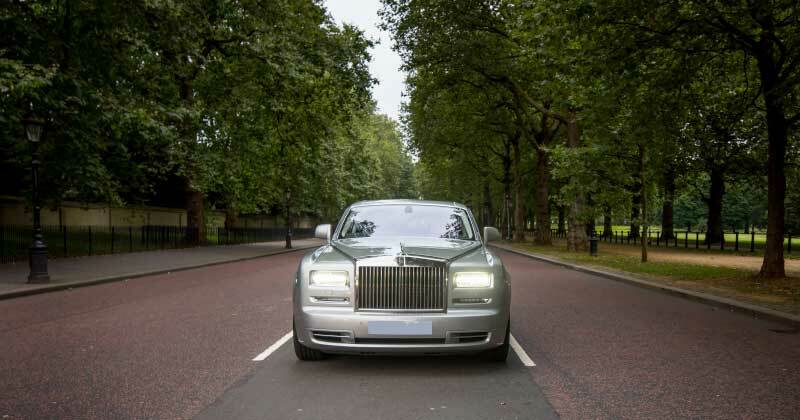 What our previous clients had to say about our Rolls Royce Hire service.